The Shonto Preparatory School (SPS) is a K-12 school district serving a Navajo Indian student population in a remote community located on a high plateau, 6,500 feet above sea level, in Navajo County of northeast Arizona . 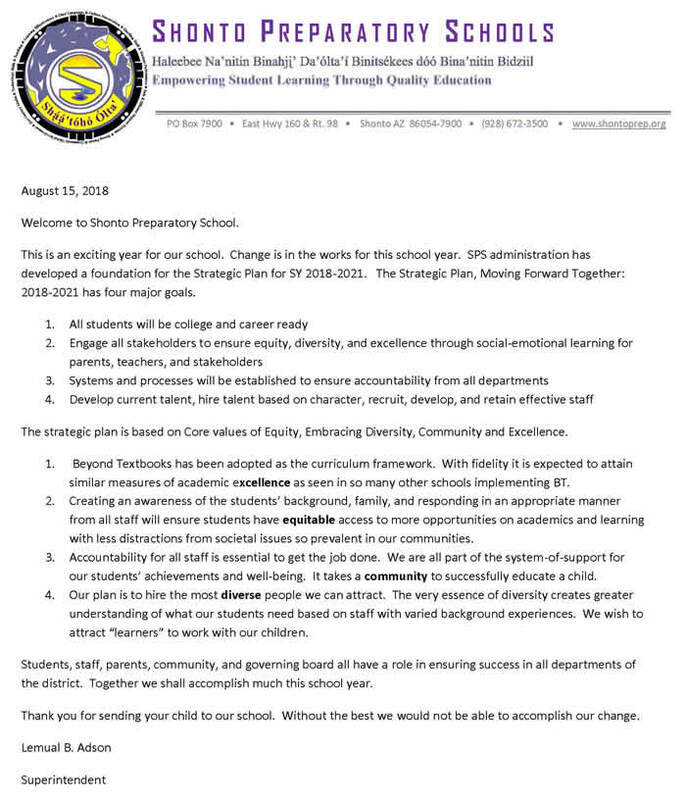 The Shonto Preparatory School district is comprised of a K-8 Bureau of Indian Education funded Grant School and a 9-12 State of Arizona Charter School. Shonto Preparatory School has a long history of community support and ownership. The community education started back in the 1930's. The Hogan BIA facilities were constructed in 1933-34 in the Shonto Canyon . Our elders wanted to have community children attend school nearby in Shonto rather than somewhere distant from home. In 1966-67, the school moved up to its present location. 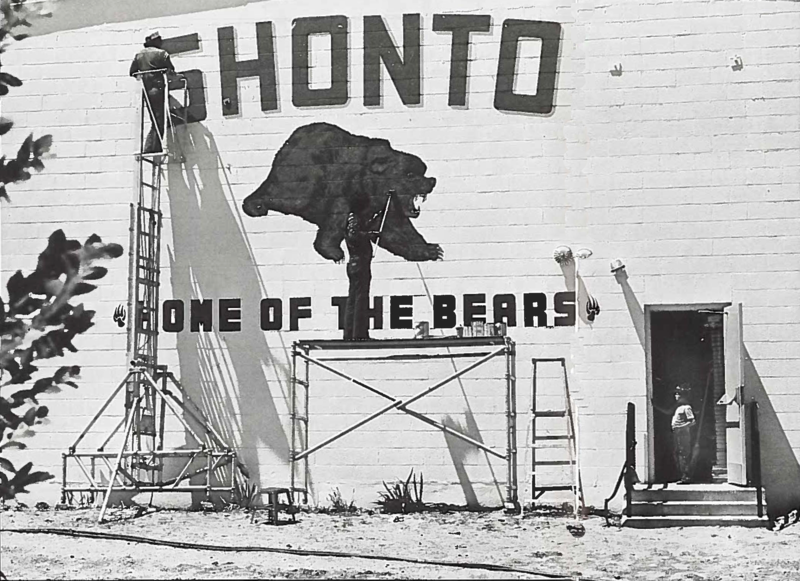 In 1996, the former Shonto Boarding School became a Grant/Charter School, known as Shonto Preparatory School . A Charter High School was started in 1997 with a 9 th grade class. Each year, thereafter another class was added. The school currently serves students from the isolated, rural communities of Shonto, Inscription House, Black Mesa, Tonalea, Kaibeto, Pinon, Kayenta and Navajo Mountain . Children are bussed from as far as forty miles one-way to attend school. Currently, the Shonto Preparatory School has a total enrollment number of 618 students; of that number, 99.6% are Native American. Over 90% of our total student population is eligible for the free or reduced lunch programs. Promote creative problem solving through critical thinking while embracing Diné language and culture to create collaborative life-long learners. The mission of Shonto Preparatory School is to nurture positive character in a safe, engaging, caring and creative environment with high academic expectations, while instilling Diné language and culture, where all learners are successful, responsible, and independent thinkers.